in the quantity of authorize voters and tallies cast in 27 states amid the presidential decision that held a weekend ago. 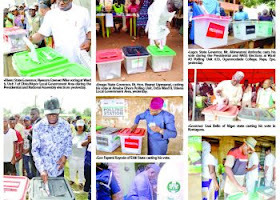 In its fourth between time report, issued by the Executive Director of Policy and Legal Advocacy Center (PLAC), Clement Nwankwo, on the grouping and declaration of the poll results on Tuesday, they said outcomes declared by some state returning officers were aggravating. Against the backdrop that there were simultaneous accreditation and voting, they noted that a cursory look at some of the figures on accredited voters and total votes cast showed lapses. According to the CSOs, as at 6:47pm on Tuesday, the gulf was 513,214 in 27 states, including Nasarawa, Kogi, Adamawa, Edo and the Federal Capital Territory (FCT). The findings indicate a lack of clarity in the rationale for cancellation of polls, noting that the CSOs recorded 1,084,358 voided votes across 1175 polling units in 18 states. “The pattern of this cancellation requires some close interrogation to show fairness and objectivity,” the report added. 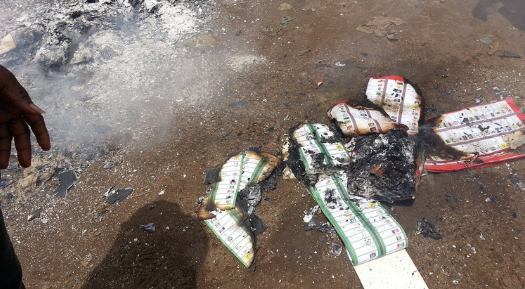 The reasons provided for the cancelled votes, the groups said, included over-voting, card reader malfunctioning and violence. They called on the electoral body to provide clarification on compliance with its guidelines regarding cancellation of elections. On claims of duress by INEC staff, the CSOs observed that the officials and ad hoc workers had alleged harassment and intimidation in the course of the collation process and undue pressure during announcement of results. The election monitoring unit noted that INEC failed to publicly acknowledge the occurrences and take measures to safeguard its personnel. While urging Nigerians to remain peaceful, the organisations called on aggrieved political parties and candidates to seek redress through legal channels. Nwankwo stated that the groups deployed observers in all 8,809 electoral wards nationwide and received reports of monitors being restricted from several ward collation centres.